Acute accent and others symbols are included in the commercial license. 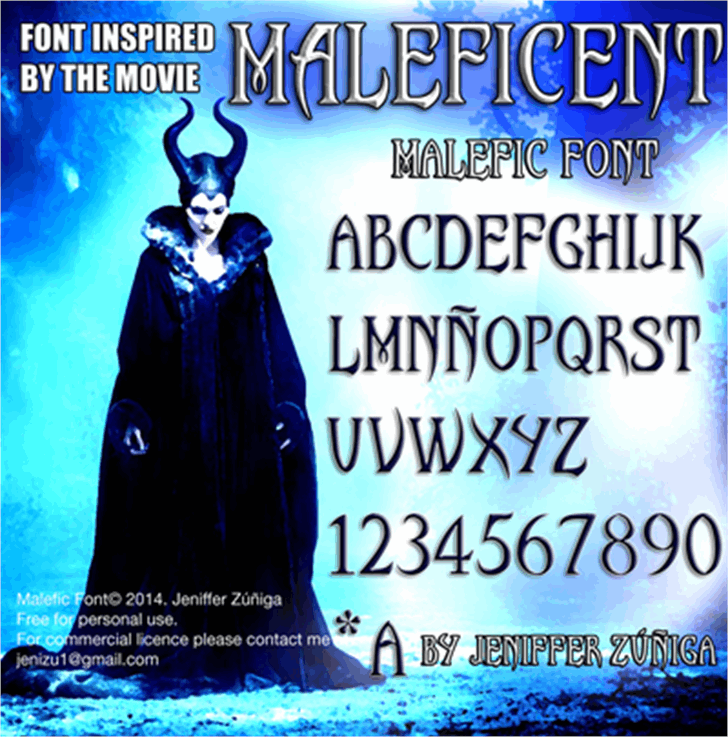 Inspired by the movie "Maleficent"
Copyright (c) 2016 Jeniffer Zúñiga Art. All Rights Reserved.